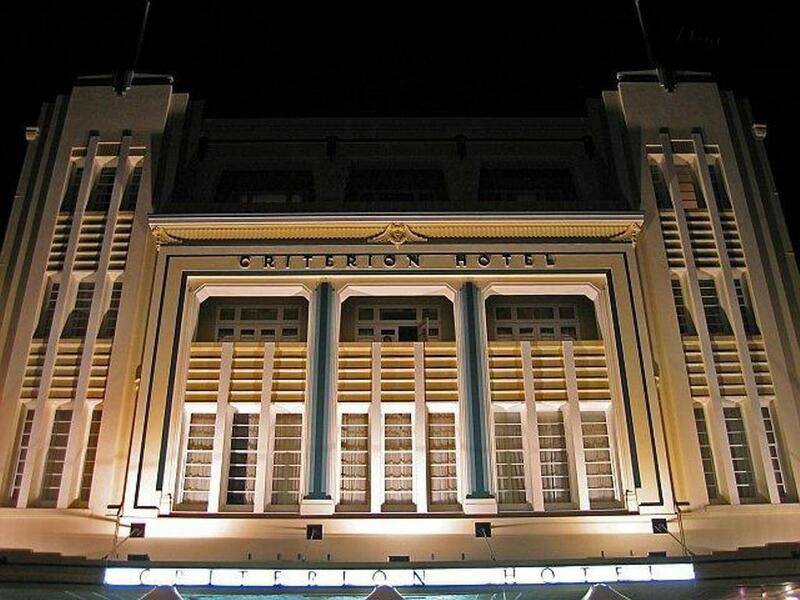 يوفر فندق Criterion Perth خدمة الواي فاي المجانية ومكتب استقبال يعمل على مدار الساعة ومطعمًا، ويبعُد مسافة 5 دقائق فقط سيرًا على الأقدام عن البارات والمتاجر والمطاعم. وتحتوي جميع الغرف على تلفزيون بشاشة مسطحة ومكتب. يقع فندق Perth Criterion على بُعد 7 دقائق سيرًا على الأقدام من مستشفى رويال بيرث. ويبعُد مسافة 6 دقائق بالسيارة عن ملعب واكا. فيما يبعُد شاطئ سكرابورو مسافة 20 دقيقة بالسيارة. تحتوي الغرف المكيفة على ثلاجة ومكتب ودولاب ملابس. وتحتوي جميعها على حمام مع دش ومجفف شعر ولوازم استحمام مجانية. يمكن للضيوف الاستمتاع بتناول وجبة في المطعم الذي يقدم المأكولات الإيطالية والمتوسطية وبوفيه إفطار. يفرض مبلغ تأميني على البطاقة الإئتمانية قدره 100 AUD عند تسجيل الوصول لتغطية أي رسوم/تلفيات (إن وجدت) أثناء إقامتك، وسيتم رده عند تسجيل الخروج من الفندق. سيُطلب تأمين ضد الأضرار بقيمة AUD 100 عند الوصول. سيتم تحصيل المبلغ عبر البطاقة الائتمانية. سيتم إعادة المبلغ إليك في غضون 7 أيام بعد المغادرة. سيتم إعادة مبلغ التأمين بشكل كامل عبر البطاقة الائتمانية، وذلك يخضع للتحقق من مكان الإقامة. I stayed here because the price was right. It has definitely improved over the last 12 months. Reception staff need to be more engaged with all guests then they would be rated more highly. Very well located budget hotel, right in the centre of the city. Rooms are very outdated and the hotel doesn’t look like it has changed for the last 30 years! Ok place to stay the night but nothing more. Close to transport, in house restaurant and bar. Quiet, clean and affordable. The hotel may look aged from outside, but interior is great and value for money. There are many restaurants nearby the hotel which makes it convenient to have a leisure day out and grab any kind of meals you like in the area. Our group of family was very satisfied with the hotel choice in this beautiful city. old hotel which could do with some maintenance. friendly staff, though not very knowledgeable on tourist attractions. they are helpful though and quite nice people. room service is not offered by default on weekends and PHs but they will make your room if requested. location is perfect, with a supermarket right beside. good value and good pricing over the holidays. will stay again, but not for romantic travel. An ideal place to stay. It's just 5 to 10 minutes walking distance to restaurants, pubs, bars, shopping malls and train station. There is a free bus station just opposite the hotel. Next to it, there is a mart selling wines, fruits and stuff. we love the location of the hotel where the train station is less than 10 minutes walk away and right in front of the hotel is a free cat bus stand. the hotel is near to many eating and shopping places. the building is old and has an impressive facade. it is clean and quite well-maintained, although you will have to put up with creaking floor of the lobby. rooms are reasonably big and comfortable with all the basic necessities. although it may be a bit cold in the room at night, there is a heater . the rate per room per night is one of the cheapest we could find for this category of hotel. front office staff were friendly and helpful. Free wifi access. Near to city centre. Clean hotel and rooms. Friendly staff with great service and smiles. Loacated in the city centre. Surrounding with great looking area, gardens, shopping centres and lots more. Suitable for all type of family with affotable pricing. Travelers also can access to beautiful garden arround the hotel area. Bell tower. Stirling garden. London court. Shopping centres. The location is very central to the shopping centres and close to trains and trams.mthe staff is very helpful and friendly. When i stayed, the elevator was broken so I had to climb the stairs, luckily the bag was light. Really good central location which is very important to us, the Red Cat pass just in front of the hotel, again a plus point. Rooms have all the amenities needed by any traveller. Receptionists are friendly and helpful. Location is perfect for seeing all that Perth offers and is close to both bus stations and the train station. The hotel is different to any hotel I’ve ever stayed in but it had everything you want. Good comfy bed, clean sheets and nice soft white towels with all your toiletries supplied, Tv, hair drier, WiFi and kettle in the room. The shower is good but be careful of the height if the frame when stepping in or out. Staff are really nice and helpful and you can leave your luggage before and after checking in or out. When I say the hotel is nothing like I’ve stayed in before I mean the decor and the windows! But it’s clean and in an excellent position and I’ve booked up for a further stay. Great location but intermittent Wi-Fi and 90% of the TV channels do not work. Very friendly and helpful staffs..